Do you know about my obsession with (awesomely funny) lame dad jokes? You know – the sort of jokes that make everyone laugh out loud, whilst simultaneously rolling their eyes? I love them! 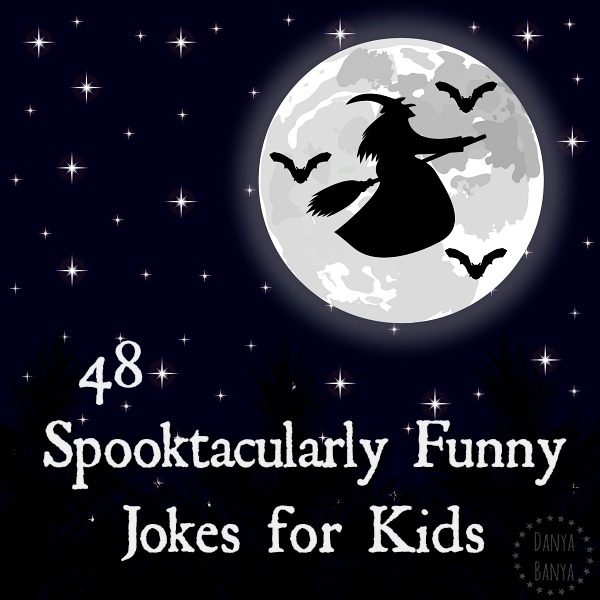 So I’ve gathered 48 of my favourite, kid-friendly, spooky jokes. 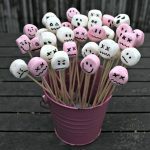 I originally collated this list for JJ’s Spooky Sixth birthday party. 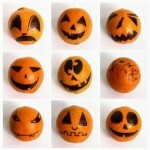 But now that Halloween is coming up, I’m pulling it out again, to add a few jokes to JJ’s lunchbox. 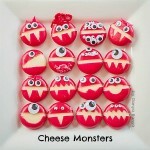 Nothing like a ghoulish lunchtime giggle! (See below for a printable version). On which day are ghosts most scary? Fright-day! What do witches put in their hair? Scare spray! What do spooks with poor eyesight wear? Spook-tacles! What day do ghosts do their howling? On Moan-day! Did you hear about the monster who ate his own house? He was homesick. What do you call a hairy monster in a river? A weir-wolf! Where does the witch’s frog sit? On a toadstool. What is a skeleton’s favourite instrument? A trombone. 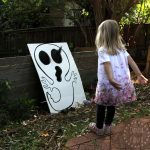 How do ghosts go from floor to floor? By scare-case! What noise does a witch’s breakfast cereal make? Snap, cackle and pop! What do you call two witches who share a room? Broom mates! What type of coffee does a vampire drink? De-coffin-ated! What do witches race on? Vroomsticks! How does a vampire start a letter? Tomb it may concern. Did you hear about the untidy cemetery? You wouldn’t want to be caught dead in there! Why did the ghost go to the sales? Because they were bargain haunters! Which boats do vampires travel in? Blood vessels. Why didn’t the skeleton jump off the roof? He didn’t have the guts. Why did the skeleton climb a tree? Because a dog was after his bones! What do you get when you cross the Abominable Snowman and pasta? Spag-yeti! What do ghosts turn on in summer? The scare-conditioner! Why did the zombie decide to stay in his coffin? He felt rotten. Why do ghosts hate rain? It dampens their spirits. How do you make a witch scratch? Take away the ‘w’! What is a spook’s favourite ride? A roller-ghoster! What is a vampire’s favourite fruit? Necktarines! What is a ghost’s favourite dessert? Boo-berries and I Scream! What is a ghost’s favourite bedtime story? Little Boo Peep! What kind of mistake does a ghost make? A boo-boo! Why do they have a fence around the graveyard? Because everyone is dying to get in! What did the wizard say to the twin witches? Which witch is which? What does a ghost do when he gets in the car? Puts his sheet belt on! Why are vampires so unpopular? Because they are pains in the neck! Why did Dr Jekyll cross the road? To get to the other Hyde! Who did the monster take to the Halloween dance? His ghoul friend! How can you tell if a vampire has a cold? He starts coffin! What bear goes around scaring other animals? Winnie the Boo! What game do young ghosts love? Hide and shriek! What do ghosts eat for dinner? Spook-etti. Knock knock. Who’s there? Witches. Witches who? Witches the way home? What do ghosts use to wash their hair? Sham-boo! What does a skeleton say before dinner? Bone appetit! My sense of humour may be a bit skewed, but seriously, these crack me up! 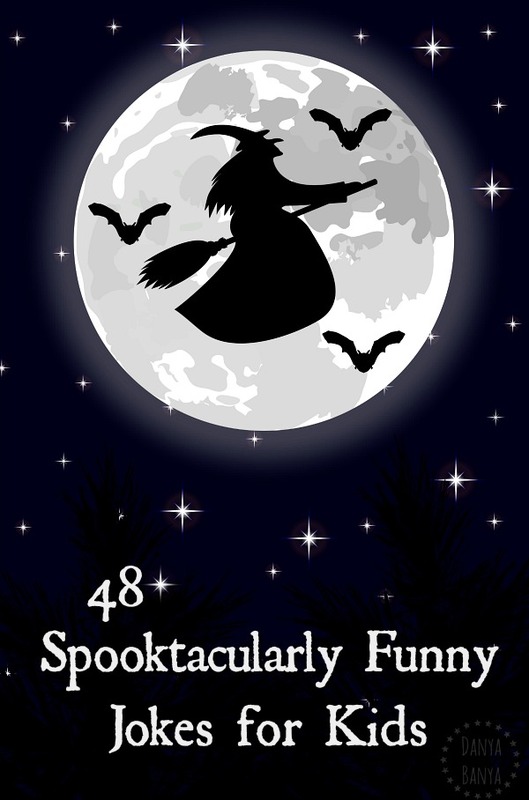 You can download these spooky jokes as a free printable here. 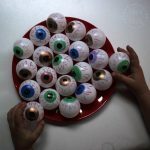 I’ve got lots of more spooky ideas on my Halloween for Kids page too. Have you got any favourite spooky jokes? Come on, share them below!